Winshuttle Query and Transaction help companies more accurately report on and manage their SAP Material Master data. Query enables users to create timely ad-hoc reports in a simple three-step process: select the data they wish to report, map the data to fields in an Excel spreadsheet, and then run the query to extract the data. With Transaction, they can update the data as needed and upload it into SAP directly from Excel, saving time and avoiding error-prone and redundant data-entry tasks. Can I extract material long text with Query? Yes. 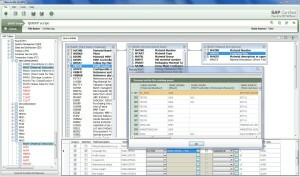 Query enables users to download long text from the Material Master without the need for technical knowledge of SAP. 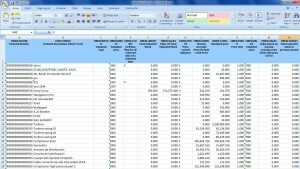 I have access to SAP reports, why do I need Query? SAP standard reports are a great way to view data, however stakeholders sometimes need custom reports to view a set of data that has not been defined in a standard report. 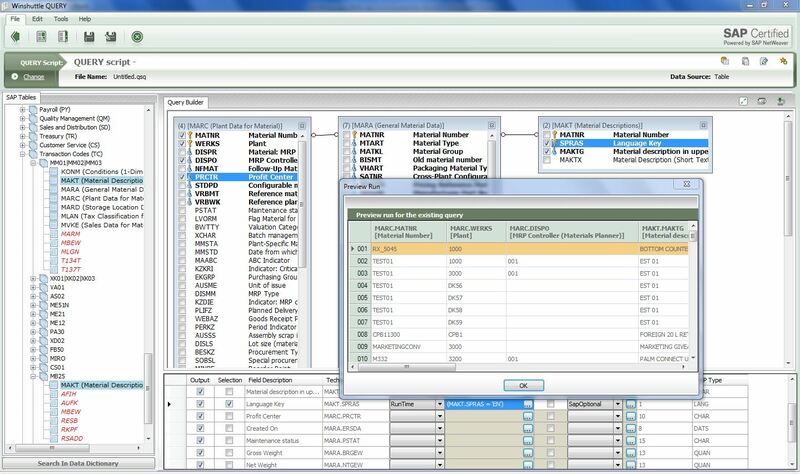 Query can fill that gap by allowing non-technical users to extract live SAP data securely. Another challenge may be that the data in an SAP standard report needs to be formatted differently before being presented to stakeholders. 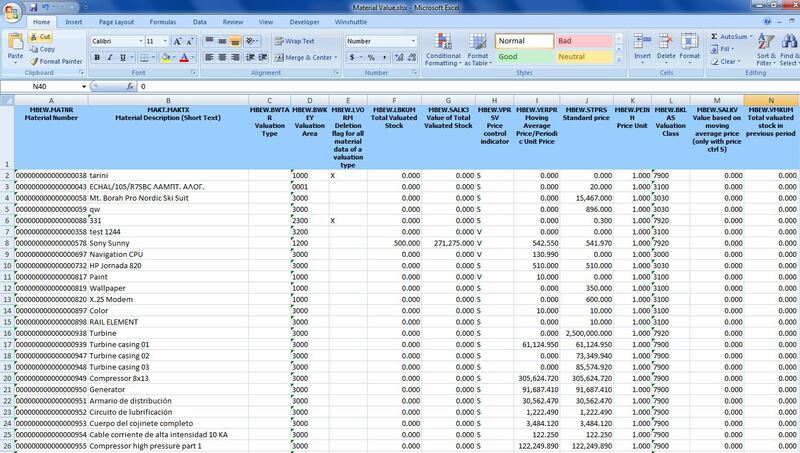 Query enables users to download the data into Excel, Access, or web forms. My company does not allow use of SE16, SQVI or SQ01 due to SOX compliance. Can we still use Query? Yes. Query can be used as an alternative to SE16, SQVI, SQ01 and enables organizations to comply with internal and external regulations. In addition to preserving standard SAP security, Query adds organizational-level controls to restrict data access by plant, company code, purchasing organization, distribution channel, and other criteria. Finally, Winshuttle Runner users can only view the data accessible to them and are limited by the constraints of the designer’s report parameters.